These days in outpatient physical therapy, timeliness is important. With some clinics scheduling patients every 15 to 30 minutes, every moment counts. 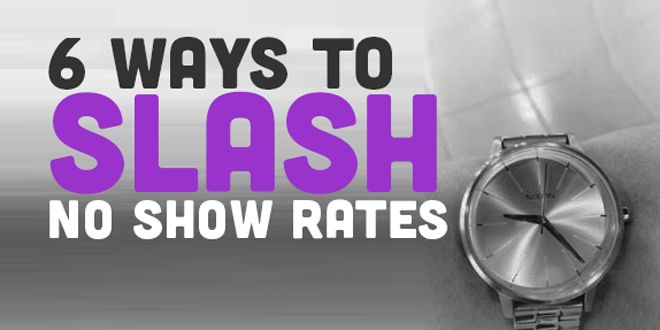 Here are some tips to keep your arrival rate high and your attendance consistent. When a patient leaves, make sure you ask them when they'll see you next. If they don't know, ask that they check before they leave. That way, they will have the date and time of their next appointment fresh in their minds. When a patient is early or on time, say you're really happy they're there; now there is plenty of time to try a new exercise, mobilization, etc. Prioritize starting your patients' sessions on time. If you respect their time, they're more likely to respect yours. Patients will not make the extra effort to be on time if they are consistently waiting 20 to 30 minutes to be seen. If someone has poor attendance rates, educate them about the importance of sticking to the plan of care. Remember that physical therapy is like medicine, and you need the right dose to get better. This policy will differ clinic to clinic, but what has worked best for me is the three strike rule. If a patient has three no shows or cancels in a row, the patient should be contacted. If there is not a timely response, they should be discharged. This makes more room for compliant patients, which leads to better outcomes and more consistent cash flow into the clinic. Everybody wins. If a patient is late, do not let it slide. Ask them if there's an appointment time that works better for them, or if there is anything that you could do to help them remember their appointment time. Remain positive, but let them know that being late is making it much more difficult for you to provide the care that they need and deserve. If you apply these tips in a kind, tactful manner your patients will feel cared for and you will have plenty of time to work your healing magic. What about you, new grads? How do you ensure that your patients consistently show up on time for appointments?